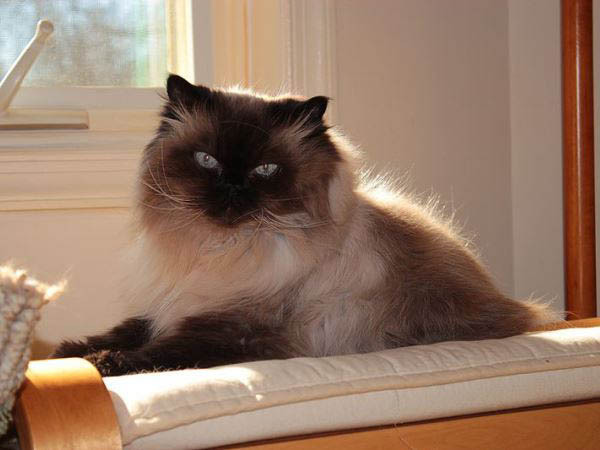 A 10kg Himalayan cat attacked a baby boy and then took a US family hostage in their apartment, forcing them to call 911 to get police help. A 10kg Himalayan cat attacked a baby boy and then took a US family hostage in their apartment, forcing them to call 911 to get police help. The ferocious feline first went for the seven-month-old baby, prompting owner Lee Palmer to kick the animal up the backside, but that served only to antagonize it further. "We're trapped in the bedroom, he won't let us out of our door," Palmer told an emergency services dispatcher in Portland, in the western state of Oregon. "I kicked the cat in the rear, and it has gone over the edge... He's very, very, very, very hostile." In the 911 call obtained by The Oregonian newspaper, Palmer explained that the four-year-old male cat, Lux, had previous. In Sunday's incident, Palmer tried unsuccessfully calling animal control before resorting to dialing 911. "He's kind of a violent cat already... he's charging us, he's at our bedroom door," Palmer said. Amid howling in the background, he asked the dispatcher: "Do you hear him?" "Yeah, yeah, I hear him," said the female emergency call operator, in a calm voice. Police arrived and subdued the animal with a dog snare. "We are debating what to do," Palmer said afterwards. "We definitely want to keep the cat away from the baby, and keep an eye on his behaviour."